A clean environment means a safe working environment. A dirty environment contains a lot of germs and contaminants, and even the air is not safe for inhaling. 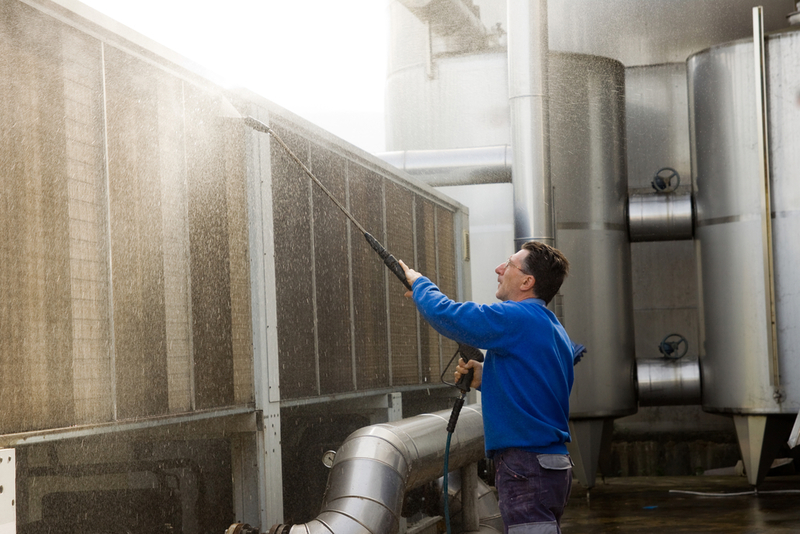 Workers will fall ill due to germs and bacteria. Moreover, if there are clutters, debris and dirty floor, they may lead to injuries. Outsourcing your cleaning will save you from the trouble as the cleaners will leave both the surfaces and air clean. This saves you a lot of funds that could have instead been used for worker’s compensation once they fall ill in your firm. When you have people entirely focusing on the cleanliness of your firm, you can concentrate on doing other things to promote your business. The mistake that you can make is assigning the cleaning job to your staff. This will distract them from performing their primary duties effectively which lowers production. Also, they will do it hastily since they want to finish and go back to their primary chores. This way, the cleaning will not be sufficient as compared to outsourced services. These are contractors whose purpose is to ensure that institutions are well cleaned and maintained. That is what they do best, and they take the job with passion and seriousness. They use professional and high-quality equipment to ensure that the job is done correctly and within a short time. Also, these people understand what chemicals are safe for use for different businesses. They can handle chemicals better than you can, and this is also another way of keeping your workers and guests safe. If you decide to hire professionals for industrial building cleaning, you are likely to always stay up to date with the best cleaning products. The cleaners can access even the newest products on the market which might be hard for you as you have other things to do. Some people may view outsourced cleaning services as an additional expense, but once you look at it from the right perspective, you will realize that it helps you save a lot. You save money by buying and maintaining equipment. This is because the cleaners come with their stuff thus saving you the trouble. It also saves you the cost of paying workers compensation that may result from accidents and illnesses caused by an unclean environment. Most janitorial cleaners in Columbia SC use environmentally friendly products thus helping you save the environment. Also, since the janitorial cleaners do it thoroughly, you can adjust the cleaning frequency to fit your budget and needs. If you are in need of professional cleaners in Columbia SC, reach out to Southjan, and we will clean up your premises to eliminate any hazards.